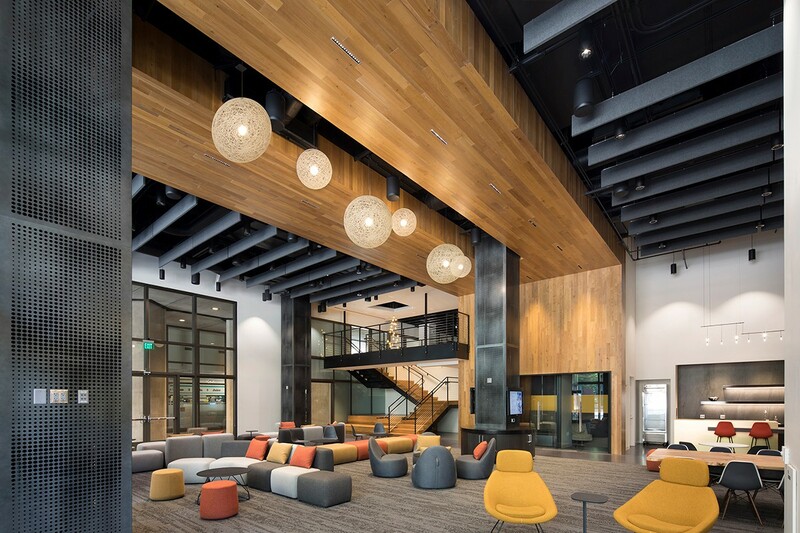 At the headquarters of Wells Fargo in San Francisco’s financial district, a 6,000-square-foot shared workspace is used by bank employees during the day and available to nonprofits in the evening at no cost. 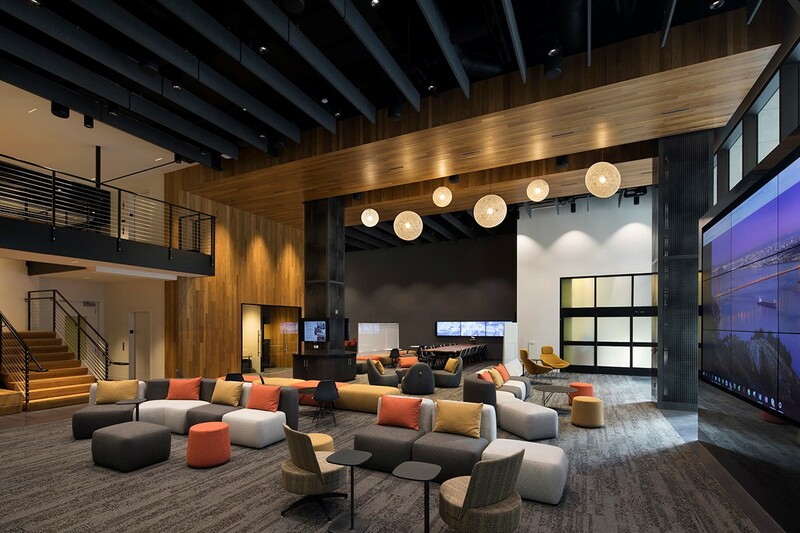 Since the large space serves as circulation, lounge, and meeting space, some pretty hefty acoustic solutions were necessary to ensure that all these functions would play nice together. Akustika 25 Baffles in a dark natural grey extend across the ceiling to provide complete sound absorption with an NRC of 1.20 and integrated lighting is dotted between. For more information on the product featured, please visit Akustika 25 Baffles.